While it is obvious that no one wants to spend time in jail, there are many reasons that posting bail to get yourself or a loved one out of jail is a good idea. Here at Affordable Bail Bonding, our Roanoke bondsmen work 24/7 to help those who need to secure bail. We are passionate about ensuring that everyone has a chance to get out of jail on bail, which is why we have made bail affordable for our clients. If are you getting ready to post bail for yourself or a loved one, check out these top benefits you will gain from getting out of jail stat. After being arrested, your stress can skyrocket. It is normal to feel worried and concerned about your future when facing criminal charges. Unfortunately, spending time in jail is not going to help with your mental state of being. Jails are not hospitable places and being away from home and those you love can cause you to be under a large amount of stress. More stress can take a toll on your mental and physical well-being. To prepare for what lies ahead, it is best that you are rested, healthy, and in a good state of mind. The last thing you want is to show up to court in a mental fog, worried and unprepared. 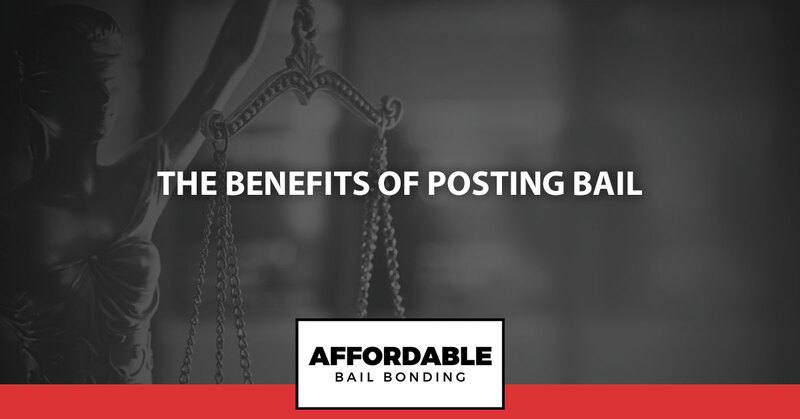 By posting bail, you can return home and restore your mind to a better place before you show back up for your court date. Being arrested can make it feel like the whole world has stopped on its axis. Everything seems to revolve around this big moment in your life. However, the reality is that life continues to go on as normal, even if you are behind bars. Posting bail allows you to return to that normalcy. When you get out of jail you can get back to important life tasks, such as parenting, going to work, and caring for your pets. By returning to this normal routine, you can keep things running smoothly before your trial date. This can go a long way in making you and your family feel more secure. One of the best things you can do before your court date arrives is to hire an experienced lawyer. A lawyer will be able to offer you advice on how to handle your situation and they can get to work building your case. When you are behind bars, it is much harder to coordinate with an attorney. By bailing out of jail, you can work on important steps to ensure you have the best shot possible when your day in court arrives. Remember, a lawyer can only help you as much as you allow. Be sure you listen to their advice and keep out of trouble. The worst thing that you can do is wind up arrested again before your first trial date ever arrives. You’ve been through a lot. Facing an arrest is a harrowing experience. Perhaps you made some choices you regret that led to your arrest or maybe you were in the wrong place at the wrong time when it happened. Whatever the situation was that led to your arrest, being back home and out of jail gives you a chance to reset and invest in yourself. For many jail is a wake-up call and returning home is like hitting a reset button on life. When you are no longer behind bars, you can focus on making the right choices for your future. 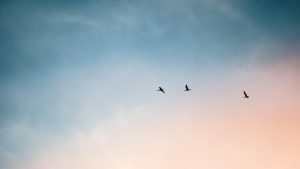 Whether you find solace in nature, in your church, or in your best friend’s front porch, returning home will allow you to spend time seeking guidance and improvement for yourself. Finally, waiting for trial behind bars can be extremely lonely and can leave you fighting depression and anxiety about lies ahead. When you bail out of jail, you can go back home to those you love. Being surrounded by the ones you love goes a long way in contributing to your happiness and overall health. Perhaps you have kids at home who are the center of your world. Maybe you have a significant other who offers you incredible support. You might even have a dog who acts as your best friend and biggest comfort. Whoever it is that brings you joy and comfort, getting out of jail will allow you to return to that place of security. This can be helpful as you determine what your next steps should be. With so many benefits to posting bail, it is little wonder that we help countless individuals from around the area with getting out of jail quickly. We understand that time behind bars is not a fun experience for anyone involved. Our goal is to help make bail affordable so that everyone has a chance to enjoy the freedom they deserve. If you or a loved one is in jail and you need help covering the costs of bail, please reach out to our team. We are available 24/7 so that you can post bail at the earliest time possible. Not only will you find that we offer affordable options for bail, but you will also find that our Roanoke bondsmen are friendly and respectful. Our job is to help, not judge. Call today for assistance with posting bail right away.